When we jump into something in the midst of the thought pattern from which it was derived, we miss out on the basis for why something is how it is; the foundation. As an American, I use the United States as an example because I have the most awareness of the country I grew up in relative to how other countries function, but generalities can be made and parallels exist throughout all systems of control. Regularly, laws are created with no regard for the foundational, unalienable rights of the individuals. Even if the United States government had a basis for its existence as a ruling entity (the Constitution and the Declaration of Independence, for example), it no longer establishes laws therefrom and thereby new laws are created that are aimed at finding cracks in the rights of individuals that simply are not there. Our rights are so immensely infringed upon that it has become an accepted practice; this is one of many signs of a collapsing system that stems from a top-down approach that places least value in the foundation and most value in the current, "updated" versions of that foundation opposed to a bottom-up approach that places the foundation as the pinnacle of importance. Rather than going into detail about all the intricacies of what is flawed, we can just look to a specific example to see why it does not achieve its intention. Having just driven across the country, my mind was on traffic regulations and so this is what we will look to. As we drive, we are constantly reminded to maintain a certain speed because this is considered to be the safest rate of travel. However, sometimes traffic travels faster than the speed limit and when individual cars are not keeping up with the flow of traffic, they create turbulence in what could be a laminar flow and thereby traveling at the speed limit is less safe. The more cars move around between lanes, the more likely an accident occurs. Obviously, it is not wise to recklessly drive and we as individuals need to be conscious to drive as safely as possible. To not be mindlessly driving in the passing lane as everyone changes lane to go around us, to not aggressively be maneuvering to weave through traffic, to not put others unnecessarily at risk. The problems with this are all a matter of how people look at the situation. The system perceives the problem of accidents on the road as something solvable through force: ticketing and beyond. However, this is highly biased because who benefits? The system. The system is designed to directly benefit from ticketing and thus has incentive to create scenarios where income is maximized, especially when those making the decisions think its the right thing to do. Thus, we find police strategically placing themselves in positions where they are hidden, where a speed limit drop is sudden and large, and people tend to not adhere to the posted speeds. This is no longer a matter of universal safety, but rather becomes a matter of entrapment. "Show me the money." The system can make whatever excuse it so chooses to bring the public to be complacent with its actions, however that does not necessarily indicate a valid argument has been presented. When everyone brakes because they see a cop ahead, this is a constant cycle of added potential for mistakes and actively leads into more accidents by distracting and influencing the organic flow of traffic. Additionally, when a cop decides to pull someone over for speeding, they must speed even more in order to catch up. Are they special? Do they not impose the same risks on other drivers around them? The hypocrisy of this is not something to be shrugged off. Two wrongs don't make a right. The entire system is founded on the logic that two wrongs do make a right. But they don't; they just make two wrongs. When I drive, I attempt to generally adhere to the speed limit, but I find myself looking around for police, putting so much energy and effort into ensuring I am not impeded that I actively am no longer focused fully on driving. Also, if I am being passed by even trucks while traveling the speed limit, then I am in more danger of an accident than if I was traveling faster with the flow of traffic. 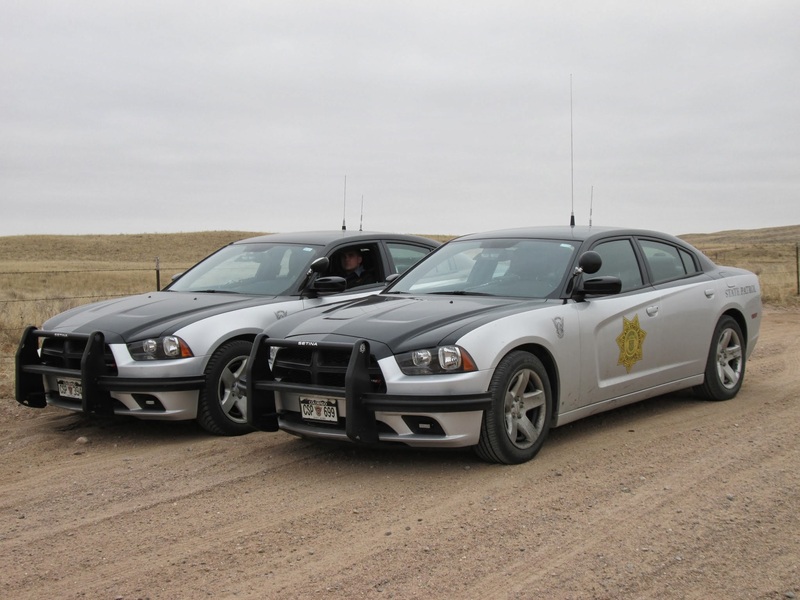 However, when I do drive with traffic, I am consistently wary of my speed and keeping a watchful eye out for police vehicles in all the hidden places; i.e. distracted once more. These are some of many inadvertent side-effects of a flawed mechanism of control. 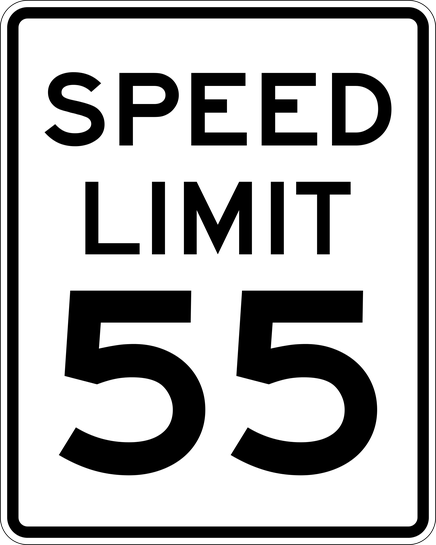 Speed limits generally stem from scientific research to determine what is safe and exist for a reason. However, the subsequent step of enforcement produces a situation where people are not looking at it from a safety angle but rather as a system to be gamed. Radar detectors, watchful eyes such as mine, strategic low-probability of being ticketed speeding amongst a group of cars, and so on are all manifestations of people spending much effort trying not to be caught disobeying. The reality of the situation is that if people collectively made an effort to improve the safety of their driving, by actively making effort to drive safely as we go, and considering the needs of others, then we as a whole could begin to demonstrate improvements in the overall rates of accidents. The motivation of such a movement is literally to show the system that we don't need it. If we reduce the excuses to be pulled over, then we reduce the energy that can be spent enforcing ideas. This can be done all the way to the point of there no longer being any perceivable need for judgment, not just with driving but across all facets of life through which government gains traction by verifying its supposed need to exist. When there is some rigid expectation of what will happen when we speed, then people actively determine what speed they are willing to drive in the face of these expectations. This feeds into accidents. If we were to have suggested speed limits, without enforcement, then these would be understood as the measures of safety and expediency balanced so as to provide the most optimal overall driving experience for all. However, individuals who saw these suggestions as some form of free reign to drive recklessly would have to be very cautious, as it is from these very actions that the system brings excuses for its literal highway robbery. "Look at all the data saying driving faster is dangerous," is only something that can be said if people are providing them with the data. If we choose to be mindful and value our freedom, then we can reverse the course through cautious, focused efforts towards ensuring the world is safer. This logic can be extrapolated to any realm of life that the system uses as an excuse for its existence. We do not need an intermediary between ourselves and God. By having one, it is inherently inefficient and wasteful, and it oppresses those who are forced to support it. It does not and cannot achieve its intended goal. It is ironic to say that America is the land of the free when not a single person born a U.S. Citizen was given an option whether or not they want to adhere to the rules and regulations that strip our freedom away. Not one made an informed decision. Rather, it was imposed on us all by the system simply being so massive that anyone within its borders became indoctrinated at birth and then over time grew to understand that they were expected to adhere to rules and regulations, regardless of what they thought about it. If you don't want to be a citizen, well get out! Nevermind that you live here and are supposedly free here. Freedom (noun): The power or right to act, speak, or think as one wants without hindrance or restraint. Freedom is not conditional. The definition is not "without hindrance or restraint except when we do something others don't approve of." It is without hindrance or restraint. Period. We do not have freedom when we have it only under certain circumstances; that is enslavement. Undoubtedly, as long as we allow an intermediary system to judge us and impose its will on us, forcing action through its massive weight being put forth against individuals, we simply do not have freedom. We do not have more freedom than others just because one system is less imposing than another; all systems that impose their will without the individual making an informed decision about what it entails and choosing, of their own free will, to be part of it lack freedom inherently and next to actually having freedom, the so-called freedom we have is nothing as it is bounded and boxed from a very thought pattern that lacks awareness of the fundamental underlying reality that we live in. Me, I'm just one person. Any impact my words have on how the world functions is a result of the truth within them. I am not a massive, leaching government entity that steals wealth from individuals to further its own agendas. I am an individual. Certainly it can be argued that I am being hypocritical, attempting to strip people of their freedom to be within the current system, but this is a fallacy. We are not given the option to freely chose to be a citizen under our government's umbrella, while being fully informed; we are indoctrinated by governments that claim rulership over that part of our planet that we happen to reside in. We cannot simply waive our option of being part of that system while retaining all our God-given, unalienable rights and freedoms within that land because we are not given an option; we are expected to follow like sheep. I aim to assist in re-establishing all freedoms by drawing attention to where we do not have it, especially where we think we do, so that others can make the free-will decision to live their lives with whatever awareness they may glean from my words. What others do is up to them; including paying me any mind. Smoke and mirrors only go so far. They do work, but only up until they don't. Honesty and truth through directness, though, are limitless in their potential because they are founded in reality. They may not work so easily, but this is because they start at the bottom and move up rather than starting at their peak and falling over time. Lies and deceptive tactics work best in the moment, and even achieve some short-term gains, and then are seen through over time where they then produce a reduced state-of-being for those involved. An example of this would be the collapse of a government and the struggles of the individuals living through it. It either works until it doesn't, or it doesn't work until it does. 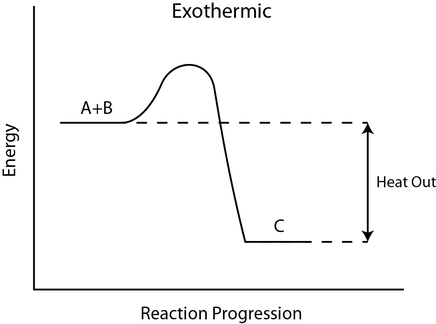 In chemistry, we see reactions occur in either an exothermic reaction, where the total energy of the reacting systems decreases after an activation energy is input, or in an endothermic reaction, where the total energy of the reacting systems increases after an activation energy is input. The same goes for life: when the reaction occurs on the basis of lies, then those lies work for a time, but then sufficient activation energy--lying--occurs until a reaction takes place and the person or persons being lied to no longer accept the arguments presented because they see through the lies. This is identical to an exothermic reaction. Alternatively, when a reaction occurs on the basis of truth, then the person or persons being influenced by the truth do not actively move up to a new steady-state until sufficient activation energy is input. Otherwise, they will fall back to the previous state; this functions precisely as an endothermic reaction. Thus, it is essential for us to be mindful of what type of reaction we are producing. Just because something works initially does not mean it is appropriate. And just because something does not work initially does not mean it is inappropriate. We must look to the parallels within the connectedness of all things in order to appreciate the need for functioning in the most honest and truthful approach possible, as it results in higher energy systems being born. 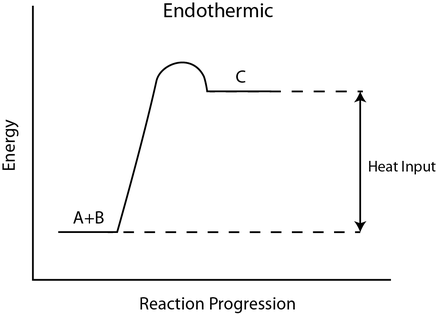 Additionally, less energy is required in order for a reaction to take place in the presence of a catalyst, which is a component of the reaction that remains unchanged after the reaction takes place. 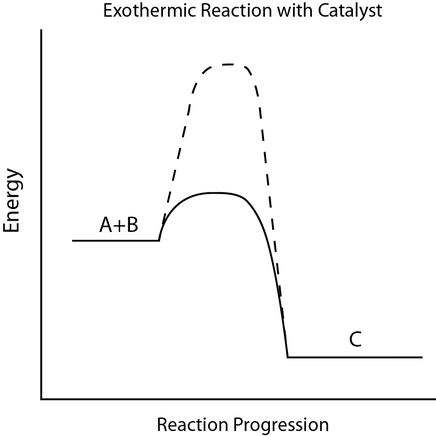 The same can be said of reactions in consciousness; in the presence of catalysts, it takes less activation energy in order to produce a reaction. As we evolve, we are no longer influenced greatly by outside systems and instead can function as catalysts to assist with outside reactions occurring. I would like to point out that the existence of constraint(s) on freedom does not create it's opposite, enslavement. 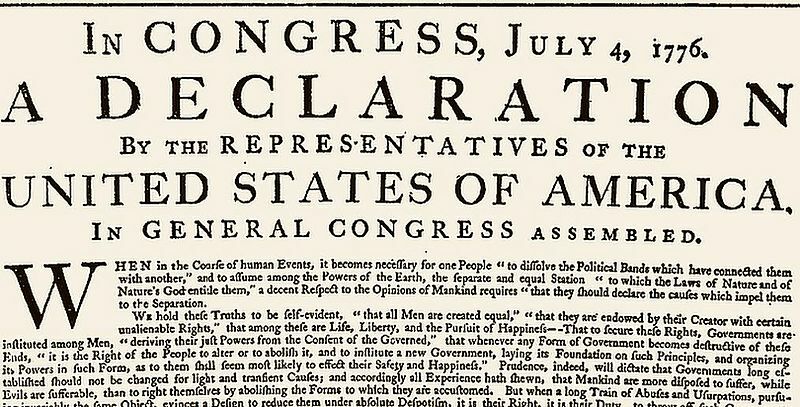 The definition of freedom you have provided is demonstrably inaccurate, and such an inaccurate basis for exegesis of government therefore is also. It is generally unreasonable to ascribe absolute values to society, as inordinate complexity inobviates oversimplification. Neither absolute slavery, nor absolute freedom are potential. Freedom cannot exist absent constraints, so therefore your statement that freedom is not conditional is false. Freedom can only be conditional, and partial, and it's opposite, slavery, as well. Perhaps you can provide an accurate definition of freedom, recognizing it's conditional and subjective nature, and reconsider the conclusions you derive, based on a correct definition of freedom.